Over the years, I have been fortunate to know many strong Haitian women in Haiti and abroad. Below is a Forbes article by Peggy Yu about two Haitian-American women, one of whom started her own company and the other whom became a nurse. Each of them takes pride and strength in their Haitian roots - and nothing any politician says will change that. International Women's Day may have come and gone, but women like Guelmana Rochelin and Johaida Jean-Francois do important work in their communities every single day. Linked and copied below is the full article. Haiti's infant mortality rate remains the highest in the western hemisphere. This is due in part to a lack of accessible health care facilities with sufficient staffing, training, and equipment. With funding from Every Mother Counts, Midwives for Haiti have been training skilled birth atttendants (midwives) to asist mothers during delivery. Ideally, every Haitian mother could deliver in a facility staffed by health care professionals available to them twenty four hours a day. That's isn't the reality for most Haitian mothers, making the work of skilled birth attendents critical for them and their babies. Take a look at the full Washington Post photo essay to learn more. The U.S State Department has released 2016 Human Rights Reports. As in previous years, human right challenges in Haiti included weak democratic governance, inufficient respect for the rule of law, a deficient judicial system, and persistent corruption. The good news is that it is clear where the shortcomings are and what the new government must do to improve. There a wide range of partners who want to help including Haitian activists and organizations, other governemnts, and multilateral and non-governmental partners. The 2016 Human Rights Report for Haiti follows. 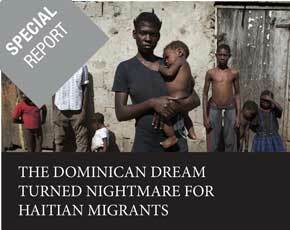 Equal Times has produced a compelling report on the abuse of Haitian migrants in the Dominican Republic. It is concise, features remarkable photography and raises important issues such as the extent to which Dominican employers and law enforcement collude with traffickers. Preventing and responding to abuses is necessary for developing a bilateral relationship between Haiti and the Dominican Republic based on mutual respect. The International Crisis Group has released a report on the importance of police reforms for security in Haiti, meaning freedom from intimidation and abuse, conflict and violence, and crime and impunity. 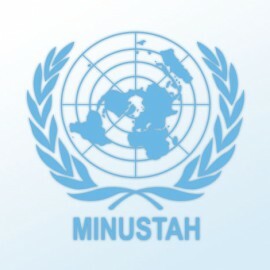 The release comes during a time in which Brazil and other partner nations are increasingly contemplating a gradual drawdown of MINUSTAH staffing. This provides the Haitian government and its partners a window of opportunity to continue reforms that will make the Haitian National Police more effective and accountable. The full report is attached and a summary is copied below. The transition from emergency relief to reconstruction is happening, albeit slowly. It won’t be easy and there will be setbacks, particularly given that the rainy season is upon us along with the risks it brings of flooding, mudslides, infectious diseases, and infrastructure damage. Engineers have completed emergency mitigation measures at six of the most vulnerable settlements to protect the most vulnerable, but much remains to be done. The 2010 Haiti Donors’ Conference concluded yesterday. The last such conference was held almost a year ago under very different circumstances. This was very much an international event with Brazil, Canada, the European Union, France, and Spain actively engaged. Over 130 nations, NGOs, and other organizations participated. Fifty nine pledged 9 billion, of which 5 billion will be for 2010 and 2011 – provided that these pledges actually become contributions which is not always the case. As Phillipe Matieu of Oxfam puts it, “…pledges need to turn into concrete progress on the ground. This cannot be a VIP Pageant of half promises.” Below is a summary of what we know about the way ahead as of April 1st.